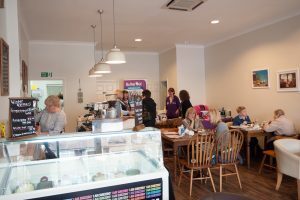 Situated to the side of Roath Lake, Ten Maryport is the coffee shop to pop into, whatever the weather. Accommodating for all ages, the menu offers a selection of inviting homemade treats, cakes and light bites, leaving you spoilt for choice! Gluten and dairy-free options can also be made without a hassle. Gourmet coffee is served (mocha being a local favourite! ), along with a range of teas; it is guaranteed there will be a drink to take your fancy. Can’t decide between poached eggs, or a posh fish finger sandwich? 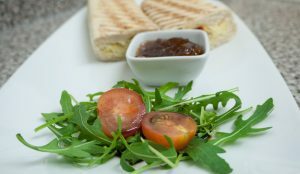 Ten Maryport offer a lavish brunch menu, which include specialities such as Eggs Florentine and Welsh Rarebit with homemade caramelised chutney. 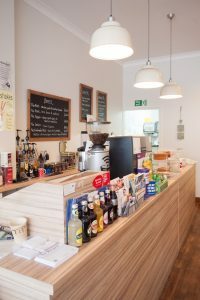 Other tempting offerings include a refreshing Greek salad, quiche, a selection of paninis and sandwiches, and you can’t go wrong with a jacket potato. The extensive menu choice and portion sizes on the whole are great value for money. To keep the little ones satisfied, a number of sweet and savoury treats are at hand; ranging from scrambled eggs to real dairy ice cream, and a range of fresh fruit juices. Though, teddy bear shaped sandwiches appear to be the true winner! There is a fair number of tables, both indoor and outdoor, and Kate is very attentive. Free Wi-Fi, convenient parking and baby changing facilities are a handful of extras to enhance the ease of your visit. Newspapers and magazines are always available. The environment is relaxed and friendly, even when busy. 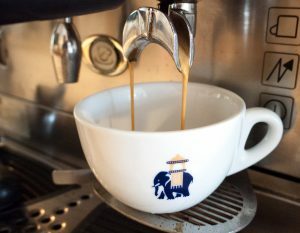 First-rate coffee, accompanied by flavorsome food offerings, you could stay there all day! And all night as from Wednesday 19th July the ‘Summer Night Bites menu’ will be launched, served until 8pm Wed-Sat, bring you own wine, beer/cider for a truly unbeatable early evening dining experience!